Valour, discipline, integrity -- these are the values we often associate with the Indian Army. However, Army Chief General Bipin Rawat’s recent statements about women in Indian combat forces do not quite reflect these qualities. “Do I put a restriction on her (women army officers) to say that in that command tenure you will not be given maternity leave? If I say that, there will be ruckus created. That’s why we’re asking Army Chief General Bipin Rawat to apologise for and retract his problematic statement about women in Indian combat forces. Women serve in combat forces all over the world, but Army Chief Bipin Rawat thinks its too much of a logistical hassle to make space for women in the Indian combat force. It’s hard enough as it is for women to serve in the Indian Army -- women have had to fight rigid societal norms and mindsets to make their mark in the military. Senior defence leadership should be encouraging women to serve, instead of making such statements that will only strengthen the problematic stereotypes of a woman’s role in society. Army Chief General Bipin Rawat wants to keep women out of Indian combat forces because he thinks it’s easier than holding the men accountable to professional work culture standards. Do you think it’s fair to deprive women of an official post just because society is not equipped to deal with sexual predators? Click here to ask General Bipin Rawat to take back his statement. It’s been a long struggle for women to enter and excel in different professions. 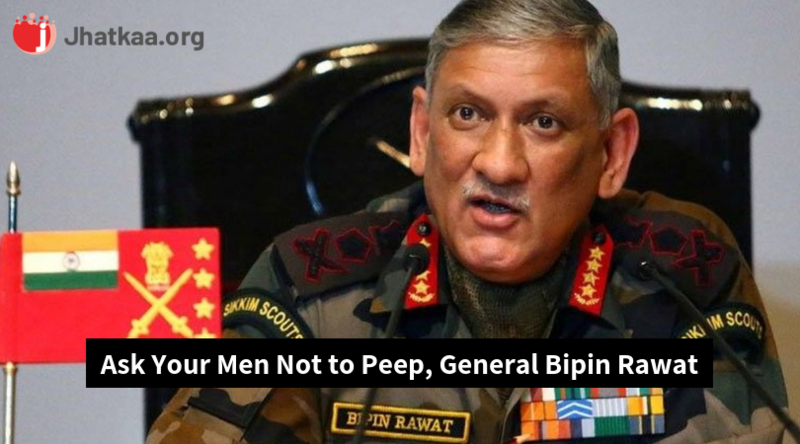 In today’s age of anti-sexual harassment policies and prioritising women’s safety at the workplace, the statement of Army Chief General Bipin Rawat is in very bad taste. He could have used this as an opportunity to find ways to make a space for women in combat roles by positive policy changes. We want to move towards a progressive future where women aren’t forced to sit at home because we can’t address important issues. It’s never too late -- this is a moment for us to call out sexism and push for women to be visible in combat roles. In today’s age of anti-sexual harassment policies and prioritising women’s safety at the workplace, the statement of Army Chief General Bipin Rawat is in very bad taste. Ask him to take back his statement.